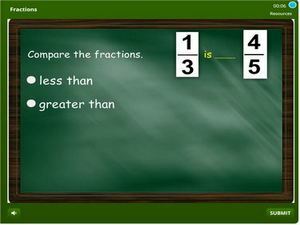 2nd grade quiz on fractions for kids – this quiz features aspects like: identifying halves, thirds, fourths, fifths, finding the fraction shown by shaded parts of a shape, fraction word problems, comparing fractions using models, ordering fractions, understanding fraction models and more. Some problems have pictures and questions which are related to these pictures. Others simply have problems involving fractions. Students have to solve a problem and select the correct answer among the set of choices. 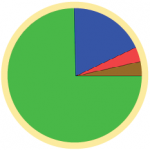 This math quiz works as a math test online and feedback is instant. Keep learning and improving your math skills.